The service will initially be available in 100 select China Bank ATMs strategically located near train stations & P2P bus terminals. AF Payments Inc. (AFPI), operator of the beep tap-and-go payment system, recently signed a partnership with China Bank to offer beep card reloading service via automated teller machines (ATMs). The service will initially be available in 100 select China Bank ATMs strategically located near train stations & P2P bus terminals. ATMs with beep loading capability will be marked by a beep sticker and a beep card reader housed inside it. China Bank card holders can reload a minimum of P100 up to P10,000 in multiples of 100, the amount of which will be debited from their account and instantly stored in their beep cards. Regaradless of amount, each reload carries a minimal fee of P10, which will be waived on the fifth transaction within the same month. China Bank is AFPIs first bank partner to feature a reloading service through its ATMs. 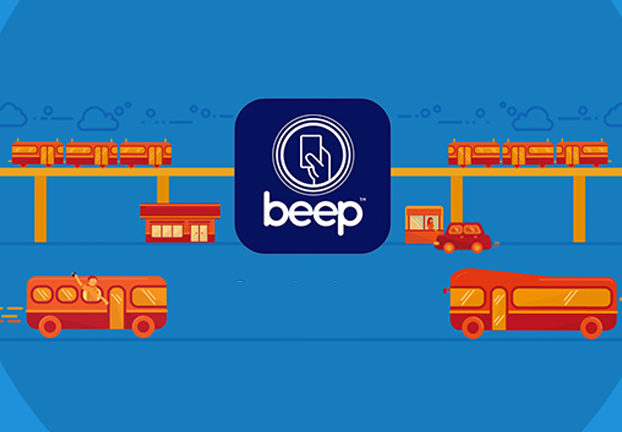 The new service diversifies the ways commuters can reload their beep cards and helps reduce queues in train stations. “We are excited to have this landmark partnership with China Bank that allows us to better serve our growing network of beep card users. This tie-up enables us to use the bank’s ATM facility to expand our multi-channel reloading platform. Having a reloading facility that’s instant, widely available, and easy to use supports our expansion efforts,” said Peter Maher, President and CEO of AF Payments Inc. While the reloading service is only offered to China Bank card holders for now, the bank hopes to open it to other debit card holders in the future. Over five million beep cards are currently in the market. These cards are used to pay for fare at elevated trains and select transportation, toll roads, as well as for purchases at select retail outlets.